This past week, Global Outlook::Digital Humanities held the election for its first elected executive (the founding executive was self-appointed). Interest in the election was very strong. There were twenty candidates for eight positions and, with well over 100 ballots cast, approximately 1/3 of the membership voted. Under GO::DH's new bylaws, the Executive will has eight elected members. Beginning in 2015, half these positions will come up for election each year. For this first year, all positions were up for election, which half the successful candidates being appointed to a one year term and half to a two year term. Whether candidates were elected to a one or two year term depended on the preference they stated in confirming their nomination and their score in the election. Great thanks is due to the nominating/returning committee (Mia Angelica Alcatara Santiago, Ernesto Priego, and Roopika Risam), and the candidates who allowed their names to stand, and the outgoing GO::DH executive, who both wrote the bylaws that now take effect and helped smooth out the inevitable roughness that accompanies a first election. The new executive will take office as soon as we can get the mailing list changed. This entry was posted in 2014, About, Administration, Announcements on March 8, 2014 by Daniel O'Donnell. Global Outlook::Digital Humanities is holding elections under its new bylaws. In subsequent years, we are supposed to hold our elections in January. For this first year, the elections are being held in February. The new bylaws require an elected executive of 8 members. In this first year, all 8 positions are vacant. In subsequent years, half the board will come up for election, meaning we'll always have some continuity. The executive chooses a chair from among its membership and appoints all the officers the organisation requires. The executive is responsible for setting policy for the organisation. Anybody who is a subscriber to globaloutlookdh-l may stand as a candidate and/or vote in the election . As always at GO::DH, we are really eager to encourage regional, linguistic, economic, and cultural diversity among our governing body, so we especially encourage people who feel their communities are not reflected in the broader world of DH to stand for election. The elections will follow a two week nomination period. The nomination period closes February 15. You can nominate anybody who is a member of the globaloutlookdh-l list, including yourself, as a candidate, though we ask that you check with your nominee first. Although this is our first nomination period, experience at other organisations suggests that self-nominations will be the norm rather than the exception. For this first year, half the people elected to the board will be elected to a one year (renewable) term and half will be elected to a two year (renewable) term. In submitting nominations, could you indicate if you or your nominee would prefer a one or a two year term. The returning officer for this election is Mia Angelica Alcantara-Santiago. Please send nominations to her at nominations@globaloutlookdh.org. This entry was posted in 2014, About, Administration, Announcements, Membership, Volunteer opportunities and tagged bylaws, election, executive, nominations on February 4, 2014 by Daniel O'Donnell. The following bylaws have been developed by the founding executive of GO::DH. They are presented to the membership of the Global Outlook::Digital Humanities mailing list for comment and approval. The name of this organisation is 'Global Outlook :: Digital Humanities' (hereafter abbreviated 'GO::DH'). The primary purpose of GO::DH is to help break down barriers that hinder communication and collaboration among researchers, students, and professionals of the Digital Arts, Humanities, Social Sciences, and Cultural Heritage sectors in High, Mid, and Low Income Economies. In all its activities, GO::DH shall remain sensitive to the principles of diversity, inclusivity, and transparency. To provide an online mailing list (globaloutlookdh-l) as a forum for members of GO::DH to discuss issues surrounding DH in various environments and to offer ideas on how to develop fertile surroundings when resources are more limited or nonexistent. Members of GO::DH will share information about available tools of interest to the community. To organize events of interest to the GO::DH community. To undertake other activities relating to its purposes and objectives or the promotion of GO::DH as a community. 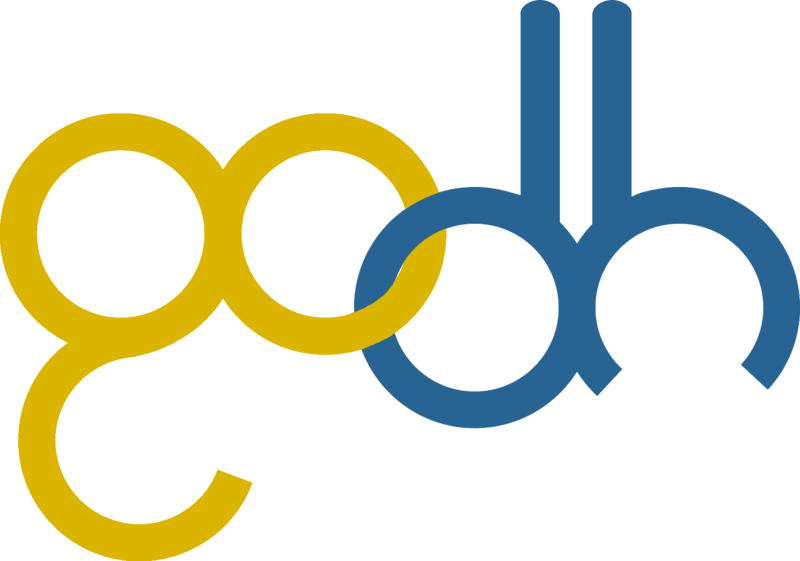 GO::DH shall be a non-profit organisation, any funding received will be used to enable GO::DH to further its purposes and objectives. The Electoral and Fiscal year at GO::DH shall run from February 1 to January 30th. GO::DH does not have an official language. The business of the organisation may be conducted in any language and multilingual announcements are encouraged. Members are encouraged to translate or summarise announcements widely. Whenever possible and practical, announcements, regulations, and other official communications shall be made in more than one language. This shall be considered especially important with regard to the nomination and election procedures. Membership in GO::DH is open to anybody interested in its goals. Membership is conferred by subscription to GO::DH mailing list (globaloutlookdh-l). Individual members in good standing have the right to vote in GO::DH elections and such issues as the Executive shall decide to poll the membership on. Members in good standing who meet additional eligibility criteria (see 3.1.4 “Term limits,” below) may stand for positions on the GO::DH Executive or serve as an Officer of the organisation. The Chair of GO::DH is the list moderator and responsible for the good governance of the list. This means that the Chair or his/her delegate has the authority to temporarily suspend or moderate list traffic or the accounts of individual members should conditions require (e.g. in order to reduce tensions or prevent abusive or inappropriate behaviour). No such intervention shall exceed more than 5 business days without the approval of the Executive. Approval of the Executive for an extension of the temporary suspension or moderation shall require a supermajority (6/8 votes) of the Executive. Although the Chair or his/her delegate does not need to seek prior approval of the board before a temporary intervention, the Chair must report all such interventions to the Executive immediately. The Executive has the authority to reverse the Chair’s decision by a simple majority vote. Members whose activity on the list has been temporarily suspended or placed on moderation remain in good standing and are eligible to vote and serve as Officers or members of the Executive. In exceptional cases, a member of the list may have their membership on the list revoked. Such action shall only take place in response to repeated abusive or other forms of significantly disruptive or inappropriate behaviour. Only the Executive can revoke membership in the list and a decision to revoke membership requires a supermajority (6/8 votes). After the Executive has voted to revoke membership, the Chair must write to the affected person within 3 days explaining the grounds for the revocation and explaining articles 2.10 and 2.11. A person whose membership has been revoked is no longer a member in good standing of GO::DH and is ineligible to vote, hold office, or serve on the Executive. A person whose membership has been revoked must reapply to the Executive for readmittance. A supermajority (6/8 votes) is required to reinstate the member. A member whose membership has been reinstated according to 2.11 becomes a member in good standing once again and is entitled to vote and serve the organisation as outlined in 2.3 and 2.4. GO::DH will be governed by an eight member Executive elected by its membership. Elections shall be held annually by electronic ballot before the end of January following an open nomination period. The precise system used for collecting nominations and conducting the election shall be left to the discretion of the executive. Whatever system is chosen must reflect the principles of transparency, inclusiveness, and openness to diversity. In choosing a system, the executive shall pay particular addition to avoiding a system that places excessive demands on user bandwidth or infrastructure. The election shall be preceded by a nomination period of at least two weeks (longer is permitted). During this period nominations will be solicited from the membership using the GlobalOutlookDH mailing list and other channels. The notice shall indicate that self-nominations are both welcome and common. In addition to this open nomination process, the Executive may also establish a nomination committee for soliciting nominations directly. Nomination by this committee shall provide no advantage to candidates over self-nomination or nomination through the open call. Nominees shall be asked to submit a voluntary candidates statement for publication to the GO::DH website. The Executive may require these statements to conform to certain requirements (length, format, etc. ), provided all candidates are required to adopt the same requirements for their statement. Candidates shall not be obliged to submit a statement. The election shall open after the nomination period has closed and the names (and optional candidates’ statements) have been published to the GO::DH website. The ballot shall remain open for at least a week. The results of the ballot shall be announced via the GlobalOutlookDH mailing list and GO::DH website as soon as the results are tabulated. Throughout the nomination and election period, the Executive shall try wherever possible to accommodate any infrastructure difficulties reported by individual members. This means that they have the right to extend deadlines or propose alternative (even ad hoc) methods or technologies for collecting nominations, publishing the statement and/or ballot, and collecting votes. Any exceptions, accommodations, or alternative arrangements shall be decided by a majority vote of the executive and reported as quickly as possible the membership. Where practical, such exceptions, accommodations, or alternative arrangements shall also be made available to all other members. In reporting such accommodations or alternative arrangements, the Executive shall be sensitive to issues of privacy. It is not required, for example, that the member for whom the accommodation, exception, or alternative arrangement was made be identified in any announcements. Elections are for two-year terms, which shall be staggered so that half the positions are open for election each year. In the first election (for the 2013-2014 Executive) all positions shall be open for election. Half the vacancies in this election shall be for a two-year term; half shall be for a one-year term. Separate elections shall be held for each term (i.e. Candidates must indicate if they are standing for election to a one-year term or a two-year term). All terms shall be renewable. Candidates elected to a one-year term shall not have that term count against any term limits (i.e. they will be allowed to serve for the maximum term limits +1 year). No member may be elected to the GO::DH Executive for more than three consecutive terms (six years). After three elected terms, the member must wait at least one year before becoming qualified for re-election to the GO::DH Executive. For members of the initial (2013) Executive, these term limits shall not include 2013. For members of this group, members will be allowed to serve consecutive terms through the end of 2019. For members elected to a term of a single year, either as part of the initial (2013-2014) election as described in 3.1.3 or under the provisions of 3.1.5, these term limits shall be exclusive of this initial year (i.e. members elected under this circumstances may stand for election four times for a maximum of 7 consecutive years). GO::DH Executive members may resign from their commitments at any time but are expected to give adequate notice. If the resigning member has served less than 50% of his or her original term, the GO::DH Executive shall hold a special election. Members appointed or elected to replace a resigning member will serve for the remainder of the original member's term, at which point they will be eligible for re-election. The time served as a replacement for a resigning member does not count against any term limits. Only elected members of the Executive have the right to vote in its decisions. Ex officio members and observers who have not also been elected to the Executive may not vote. The Executive will decide issues before it by a simple majority unless these Bylaws call for a higher standard or the Executive places additional restrictions on itself. For the purposes of these Bylaws, a “supermajority” is the votes of six out of the eight voting members of the Executive or an equivalent percentage of the total voting body should less than 8 members be eligible to vote (due to vacancies or conflicts of interest). The Executive will be responsible for appointing all other officers and subcommittees. In selecting officers, the Executive shall keep in mind the principles of diversity, inclusivity, transparency, experience, and competence. The Chair shall be selected from the elected membership of the Executive. All other officers may be selected from the Executive or the membership at large. Officers must be members of GO::DH as defined 2.2 (i.e. they must be members of the mailing list). Officers who are chosen from the elected Executive remain members of the Executive and have the right to vote in its decisions. Officers who are chosen from the membership at large and have not been elected to the Executive become ex officio, non-voting members of the Executive. An editorial committee responsible for the GO::DH website. 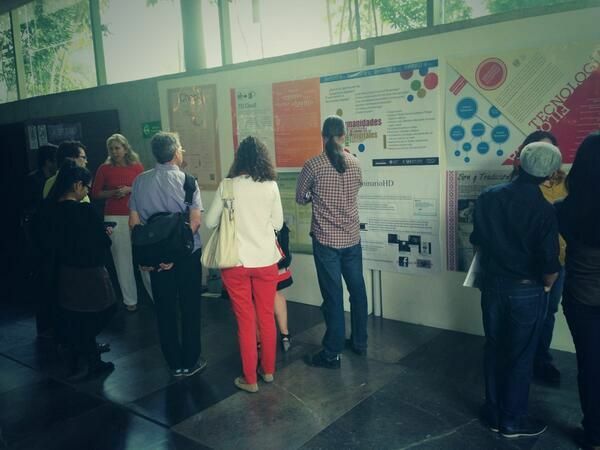 An organiser/organisers for planning conference and poster sessions. Any other subcommittees that might arise from the members’ interests. Membership on these committees need not be exclusive: individuals may serve on more than one committee and the Executive may assign all tasks to a single executive committee if it sees fit. No term limits apply to membership on subcommittees, though the principles of diversity and inclusivity shall be kept in mind in determining and renewing appointments and subcommittee members are expected to encourage renewal and the development of successors. The GO::DH Executive may delegate the formation and staffing of subcommittees to others as it sees fit, although it shall retain final responsibility for all decisions. Officers or subcommittee members may be removed from office for cause by the Executive. Any such removal shall require a supermajority of the elected membership of the Executive (i.e. 6/8 votes). After the Executive has approved removal from office, the Chair must write to the affected person within three days explaining the grounds for removal. The GO::DH Executive will elect a Chair annually from among its members at the first meeting after the annual elections. Re-election is permitted. Because the Chair must be an elected member of the executive, the term limits that apply to that position also govern election to Chair. Chairs must step down when their eligibility to serve as an elected member of the board expires. The chair may be removed from office by the Executive through a vote of confidence. In order to remove a chair from office, a supermajority of the GO::DH Executive is required (6/8 votes). If a supermajority approves the removal of the Chair, a new Chair shall be chosen from the GO::DH elected membership of the executive to serve out the remainder of the term (i.e. The rest of the year). If the Executive is unable to elect a chair from its membership, the Chair of ADHO will be asked to assist in finding a resolution. In such a case, an external chair may be appointed for an exceptional term of up to two years. After a vote of non-confidence, the longest serving Vice Chair must prepare a letter to the community within three days for approval by the Executive explaining the grounds for their decision. After this letter is approved, it must be distributed to the community via the globaloutlookDH-l mailing list. In the event that the Executive is unable to approve a letter for distribution, they are to ask the ADHO Chair for advice and assistance in reaching a resolution. Removal from the office of Chair does not affect membership on the GO::DH Executive or in GO::DH itself. A Chair who has been removed from office is entitled to serve out his or her term as an elected member of the board and stand for reelection, subject to the language on term limits. The Chair will convene, determine the agendas for, and chair meetings of the GO::DH Executive. He or she will also be a member ex officio of all such subcommittees as the GO::DH Executive shall constitute. The Chair may delegate these tasks. Executive decisions made by the Chair can be overturned through a supermajority of GO::DH Executive (6/8 votes). GO::DH will organise events befitting its mission, such as conference sessions at important relevant conferences. GO::DH should not be held responsible for any financial obligations resulting from the organisation of such events. Although events will usually be organised by members of the GO::DH Executive, the GO::DH Executive may appoint delegates for particular events. Amendments to these bylaws can be proposed by the GO::DH Executive or by the petition from the membership at large. A proposal for amendment by the membership requires the support of an elected member of the executive or 10 members of the mailing list. Proposed amendments will be published on the GO::DH mailing list (globaloutlookdh-l) and the GO::DH website with a minimum 10 day period requesting comments by the GO::DH membership. The GO::DH Executive will discuss comments on the proposed amendments received from the GO::DH membership incorporating changes agreed by a simple majority of the GO::DH Executive. The agreed version of the amended bylaws will be presented as a whole to the GO::DH membership for voting over a minimum 7 day period. The amended version of the bylaws will pass with a two-thirds majority of votes cast during the voting period, provided quorum has been met. Quorum for approval by the membership shall be 25% of the total membership. In the event quorum is not reached, the Executive may approve amendments to the Bylaws by a supermajority. In such a case, the Executive should consider carefully the results of the membership election, though it is not bound by it. This entry was posted in About, Administration, Announcements, Volunteer opportunities and tagged bylaws; membership; governance; comment period on December 9, 2013 by Daniel O'Donnell. We are pleased to announce the winners of the first University of Lethbridge, Global Outlook::Digital Humanities, Digital Studies/Le champ numérique Global Digital Humanities Essay Prize. To what extent is the abstract intellectually compelling? I.e. Is the problem or topic non-trivial? Is it well defined? Is the proposed solution or approach effective or convincing? To what extent is the abstract methodologically sound? I.e. does the author take an appropriate approach? propose the use of appropriate tools or arguments? use appropriate and/or convincing evidence? An additional question allowed referees to assign between 0 and 3 bonus marks for papers they thought were particularly exceptional, well suited to the goals of competition, or otherwise deserving of special attention. Submissions were then ranked on the basis of their average scores. Although mechanisms were in place for resolving cases in which the referees showed a wide divergence of opinion, there were in the end few papers on which referees' opinions diverged markedly and none among the top four. Although language was not considered as an adjudication criteria, the results reflect the linguistic diversity of the GO::DH community. Four of the top nine essays were in a language other than English. The top essays/abstracts fall into three categories: "First Prize," "Second Prize," and "Honourable Mention." Dacos, Marin (Open Edition, France). La stratégie du Sauna finlandais: Les frontières de Digital Humanities. Essai de Géographie politique d’une communauté scientifique. Gawne, Lauren (University of Melbourne, Australia). 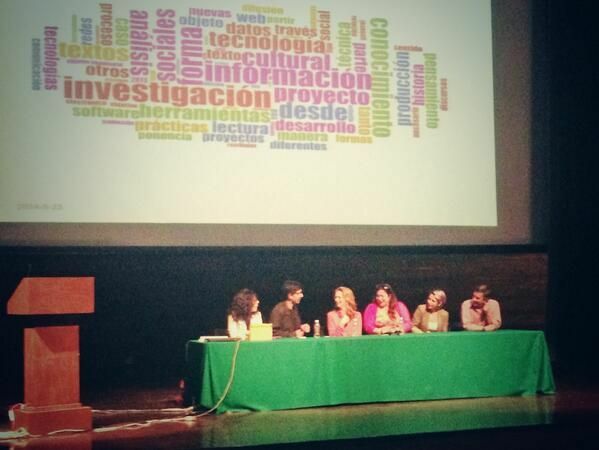 Language documentation and division: Bridging the digital divide. Pue, A. Sean, Tracy K. Teal, and C. Titus Brown (Michigan State University, USA). Bioinformatic approaches to the computational analysis of Urdu poetic meter. Raval, Noopur (Jawaharlal Nehru Univesity (JNU), New Delhi, India). On Wikipedia and Failure: Notes from Queering the Encyclopedia. Arauco Dextre, Renzo (Memoragram, Lima, Peru). Memogram, un Cloud-Service Para la Memoria Colectiva. Carlson, Thomas A. (Princeton University, USA). Digital Maps are still not territory: Challenges raised by Syriaca.org's Middle Eastern places over two millenia. Tomasini Maciel, Julia (University of Maryland, USA). Humanidades Digitales y traducción literaria: Latinoamérica entre el portugués y el español. Portales Machado, Yasmín Silvia (Havana, Cuba). Perfil demográfico de la blogosfera hecha en Cuba en diciembre de 2012. Tasovac, Toma and Natalia Ermolaev (Centre for Digital Humanities, Belgrade, Serbia). Interfacing diachrony: Rethinking lexical annotation in digital editions. Arbuckle, Alyssa (University of Victoria, Canada). The risk of digital repatriation for indigenous groups. Baryshev, Ruslan, Igor Kim, Inna Kizhner, Maxim Rumyantsev (Siberian Federal University, Russia). 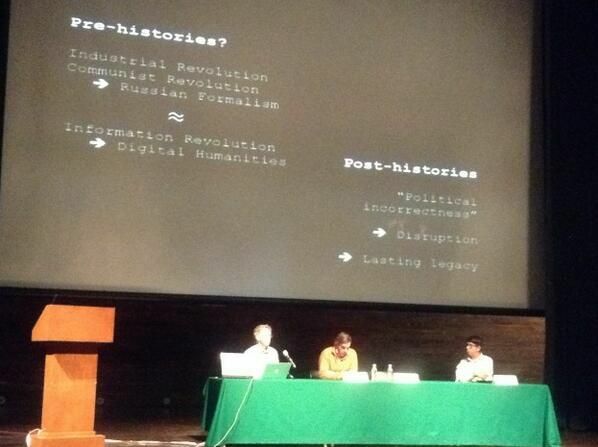 Digitial Humanities at Siberian Federal University. Calbay, Francis Raymond (HayPinas.org, Taipei, Taiwan). User-Generated vitriol: Ethnic stereotypes in online comments on media reports of a South China Sea shooting incident. Farman, Jason (University of Maryland, USA). Mapping virtual communities: The production of crisis maps and cultural imaginaries of the Diaspora. Finney, Tim (Vose Seminary, Australia). How to discover textual groups. Ives, Maura and Amy Earhart (Texas A&M University, USA). Establishing a digital humanities center: Vision, reality, sustainability. Kaltenbrunner, Wolfgang (Leiden University, The Netherlands). Transparency strategies in digital scholarship. López Villaneuva, José Manuel (Mexico). 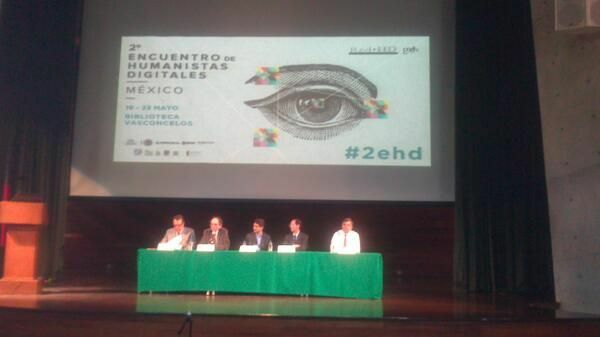 Reflexiones sobre la RedHD en México: desarrollo y alcance de la RedHD en la comunidad académica universitaria. Menon, Nirmala (Indian Institute of Technology Indore, India). Multilingual digital publishing: A postcolonial Digital Humanities imperative. O'Sullivan, James (Ireland). The emergence of Digital Humanities in Ireland. Ouellette, Jessica (University of Massachussetts, USA). Blogging borders: Transnational feminist rhetorics and global voices. Perozo Olivares, Karla (Universidad Nacional de Rosario, Venazuala). Una aproximación al desconocimiento de las masas digitales. Riedel, Dagmar (Columbia University, USA). The digitization of books in Arabic script and the digital divide in Muslim societies. Sandstedt, Jørgen (University of Iceland, University of Oslo, Iceland/Norway). Text-dependent automated methods in scribal hand identification. Schmidt, Desmond (University of Queensland, Australia). Towards a model for the digital scholarly edition. Sobczak, Anna (Szczecin University, Poland). A co z humanistami? - Cyfrowa humanistyka jako lekarstwo na obecny stan postrzegania humanistyki w mediach elektronicznych? As the number of winners, runners up, and honorable mentions suggests, the competition was extremely strong, with only a few points separating the top from the bottom entries in each category. Several essays and abstracts not listed above also scored very close to the cut-off point or were otherwise remarked upon by the judges. We are currently gathering referees' comments together and will be passing these on to the authors as soon as they are ready. The adjudication committee would like to thank all who submitted abstracts or essays to this competition. The quality of the entries was extremely high and the process by which the winners were determined very difficult as a result. More than a few excellent papers had to be left off the list of named finalists. Although this competition exhausts the funding received from the University of Lethbridge, we are actively seeking additional money to offer similar competitions in the future. We appreciate the patience and enthusiasm of all. Thank you very much to all adjudicators for their thoughtful work. This entry was posted in About, Announcements, Competitions, Global Digital Humanities Prize, Prizes, Research and tagged prizes on December 1, 2013 by Daniel O'Donnell. As was recently announced on the Globaloutlook-l@uleth.ca mailing list, we are running behind on the adjudication process. The cause of this delay is an unexpected funding cut at the University of Lethbridge that removed some secretarial support we had been expecting (because we committed all the money we were given for this project to the prizes, we did not have additional money to hire our own support). This means that we are working entirely on volunteer labour. We apologise for the delays this is causing and are working as hard as we can to get through the process. Hopefully we will be able to finish finalising the shortlist within the next two to three weeks. Again, we apologise for any inconvenience and thank you for your patience! This entry was posted in About on October 29, 2013 by Daniel O'Donnell. Deadline extended! New deadline: Noon GMT, Saturday July 6, 2013. Global Outlook :: Digital Humanities (GO::DH) is pleased to announce the first Global Digital Humanities Essay competition. This competition is for research papers looking at some aspect of the national, regional, or international practice of the Digital Humanities. Within this broad subject, participants may choose their own approach: focussing in individual problems or projects (e.g. some specific scholarly, preservation, or cultural heritage issue), or broader philosophical, geographical, sociological, political, or other discussion of the practice of Digital Humanities in a global context. Up to four awards of $500 (CAN) each plus an opportunity for fast-track publication in Digital Studies/Le champ numérique. Additional awards, including fast-track publication, may be available for runners up and honorary mentions. The competition is open to any interested party including students, graduate students, junior faculty, and researchers unaffiliated with a university or research institution. Only one submission is permitted per person. Submissions may be in any language. The adjudication committee will attempt to find readers for languages that lie outside its own experience (A list of members of the adjudication committee and the languages they read is found below). Digital Studies/Le champ numérique publishes in English or French. Winning contributions in languages other than French or English will be published in their original language with a translation into either English or French. The committee will adjudicate essays based on their interest and topicality, the quality and breadth of their research, and the quality of analysis and data. In each case these criteria will be considered in relation to the chosen topic. The committee is also committed to ensuring a diversity of voices and experiences in represented in the competition and among the finalists. June 30, 2013 Noon GMT, July 6, 2013 Deadline for initial submission. Submissions may take the form of extended abstracts (500-1000 words) or complete drafts (recommended length: 6,000-15,000 words). Winning entries in this round will receive an interim award of $200. October 30, 2013: Deadline for final submission. Winners from the initial round will be invited to submit their completed papers by October 30, 2013 for review, copy-editing, and submission to Digital Studies/Le champ numérique. Upon successful completion of the review process, the winning contestants will receive a completion bonus of $300. Send your submissions to prizes@globaloutlookdh.org. Preferred formats are PDF, HTML, Plain Text, Word, Open Office, or LaTeX. By submitting to the competition, authors agree to grant the adjudication committee a Creative Commons 2.0 BY-NC licence to their work. Entries will be adjudicated by an international panel. The panel reserves the right to consult with others or add additional members to the committee. The decisions of the adjudication panel will be final. Funding for this competition has been provided by the University of Lethbridge Office of Research and Innovation Services (ORIS) through its Social Science and Humanities Research Council (SSHRC) internal funding programme. This entry was posted in Competitions, Global Digital Humanities Prize, Prizes, Working groups on May 4, 2013 by Daniel O'Donnell. This entry was posted in About, Administration, Competitions, Prizes, Research, Volunteer opportunities and tagged research prize, SSHRC, University of Lethbridge on February 17, 2013 by Daniel O'Donnell.